You can help support my website, my research and my efforts to shed light on the truth about Hitler, National Socialist Germany, the real causes and true reasons for World War II, and to shed light upon the unknown dark chapters of this tragedy, and how these impact us all to this day, by purchasing related books through my Amazon affiliate store. I’ve included some great books on current world history, geopolitics, leaders, and conspiracies and now have over 110 book titles to choose from and 26 documentaries on DVD! I will be adding more books and other products continually. If a book your are presently considering purchasing is not listed in my store, feel free to suggest it in the comment section below. Click this banner to enter and begin shopping securely! NOTE: I only get a small percentage of sales. Also my store is linked to Amazon.ca and not all book are well stocked, so you may want to check Amazon.com if the book you are looking for indicates that it is unavailable. Care to just ‘chip in’ with PayPal instead? 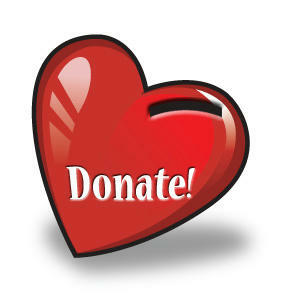 Click the button to donate. Love this website! A true breath of fresh air!!. Thank You. Hello, I don’t think it is available on Amazon anymore. Mr. Goodrich sells them himself. I don’t have his e-mail address. You can check Deanna Spingola’s site and see if she has info posted there, otherwise contact her. I am sure she will have the address. I’m reading it now. Got it through interlibrary loan at my local library. Just a warning it makes a Stephen King novel feel like the Wizard of Oz. Very well written with photos and sources referenced. I’v suspected for years that World war 2 was a one sided story, its really amazing how countries and the media can hide or bend the truth. Thank you for visiting and for your comment, but most of all, thanks for your courage to look at the information I am presenting with an open mind. It is in the interest of all mankind to know the full and true history, and to see how we have all to greater or lesser degrees been duped, and to begin to see who ultimately benefited from it and what agenda was ultimately served by it. It was never in the interest of the British people to fight that war, and those who were most informed opposed it. Nor was it ever a war which Hitler nor the German people wanted. It is high time we sort fact from fiction, as well as to understand everything that did actually happen in the proper context, Ignorance only serves those who profited, and they continue to use this same method of operations to this day against any nation which stands in their way. And each time, it is we or our children who are expected to do their dirty work. That has to stop, and will only stop when enough of us see the pattern and stop going along to get along. Cheers! Hello, I was reading a few of the posts here, and you said Hitler didn’t force his way to power, and did it legally. From documentaries I’ve seen it was told Hitler ( and communist parties ) would disrupt meetings, make fights etc, sort of like gangs trying to ruin for each other. Of course I don’t know if it’s true, I believe the documentary was “Hitlers Bodyguard” If you youtube it you’ll probably find it. Not entirely sure if that’s the documentary I got it from, I apologize if it’s not! hey wayne, are there 2 separate books on the allied postwar war against german civilians by r f keeling? Hi Mike, it’s probably the same book. Amazon sometimes have two listing for the same book. One may be hardcover and the other soft, or perhaps from a different supplier, and there is a price difference too. Sometimes one is in stock and the other is not, so in such cases, I will show both listings. wayne, I was looking into Anthony suttons walstreet and the Bolshevik revolution… it has good information but also contains propaganda about several things most notably the made up story of Germany funding lenin… which we know is untrue, I though I saw a book referenced somewhere on your site about who really funded the Bolshevik revolution? have you any suggestions? Yeah, I don’t carry anything by Sutton for that reason. He has led many people astray and is one most quoted sources for anti-NS disinfo. Not sure what else I could recommend except Deanna Spingola’s books. Happy Trails, . . .
Wayne, I just came across your website recently, been looking and reading most of your articles on your blog, and would love to get much better and deeper understanding of Hitler’s WW2 German history. Would you be so kind and provide me with a list of 5-10 top most important books and it’s authors to read on this topic, to really learn the truth (truly your personal suggestion), with #1 book being the most important and so forth. Thank you for your time. Hi sorry, this ended up in the spam box. No I don’t have time to create such a list, but many good and free books can also be in my links section Hoggans “The Forced War” is a must read. Hi, thanks for your comment. It will likely never be “mainstream” in the sense that the corporate media, which is largely owned by self-described Jews (as they also admit). Few trust them anymore as it is. It is more the “mainstream consciousness” that I am concerned with, and there is indeed an awakening and a growing awareness of the WWII lies taking place! My website hits are constantly growing and I am very pleased there are many people who are now re-posting my material on a regular basis. hello – i wonder if you have a book ” The Vatican against Europe ” by Edmond Paris ?? I’m so glad to discover this site and see the truth being published. It’s long overdue. Thank you for a great web site. The TRUTH will always prevail eventually. Iam a National socialist Christian. Adolph Hitler was a baptized Christian also. Thanks again. Wayne. Thank you for your bravery in exposing these historical events hidden from our view for decades. The amazing lies of the “victors” runs deep. I consider your site to be very special in helping deprogram individuals in face of the false propaganda rampant in our western society/culture. Can you recommend any books on the flight of the Germans from Schlesien, Pommern? Or the aftermath of the people from these areas after the war? I found one by Alfred De Zayes (not sure if I spelled his name right) but I’m sure there must be others. Excellent site, Wayne. Though my parents and grandparents, as English and American, would have been ‘the enemy’ to Germans, my desire to know truth, as well as exposure to a lot of very good people of German descent, has made me seek out other versions of what happened during WWII. One book that I read recently that is missing from your list is a book published (I think) in 2012 called ‘The Myth of German Villainy’ by Benton L. Bradbury, and since it is available on Amazon, you could probably sell it through your site. Although it could use an index and, in the first edition, at any rate, needed some serious editing, the information given was very comprehensive and seemed fair, especially because Mr. Bradbury, being American, is only seeking truth. I sent my copy to an elderly, German gentleman who is, I gather, finding it a fascinating read. Best wishes and please keep up the good work of bringing truth to the world! I highly recommend ‘The Myth of German Villainy’, which i see has already been recommended. Also ‘Hitler’s Revolution’ by Richard Tedor….and just out: ‘The Bad War – the truth never taught about world war 2’, by Mike King…it’s excellent. Sorry but most of these books are not available in pdf and it is illegal to make copies for distribution. There are, however, many free and very good (older) e-books listed in the menu on the right side of my webpage. Scroll down. They can all be downloaded and shared. Have finished THE MYTH OF GERMAN VILLANY. See my review. The history we hope correct is a story of the triumph of the tactics of KVETCH/SLANDER. I became interested in j4g for two primary reasons. The stories i heard from my now 91 year old German Mother-in-law when she was on the staff of General Ritter Von Greim in the last seven months of the war, and about her brother Horst, a member of KG53, who didn’t survive the war. The second reason?….i hate being lied to by people who know they are lying. Thanks for your comment Stephen. Much appreciated. I will send you a private e-mail. Does Ursula Haverbeck have a web site or blog of some kind…somewhere that a person could send her a nice e-mail praising her great work? She does have a website, just google it. She also has a Facebook page. To my knowledge that is the only way to leave her feedback. So glad to hear that the truth is now being told about WW11 and Germany. The German people should be exonerated. I have always admired the German people for their discipline and courage. As I was growing up here in America, I never really believed the stories in history about Germany and what bad people they were. Just call it a gut feeling.